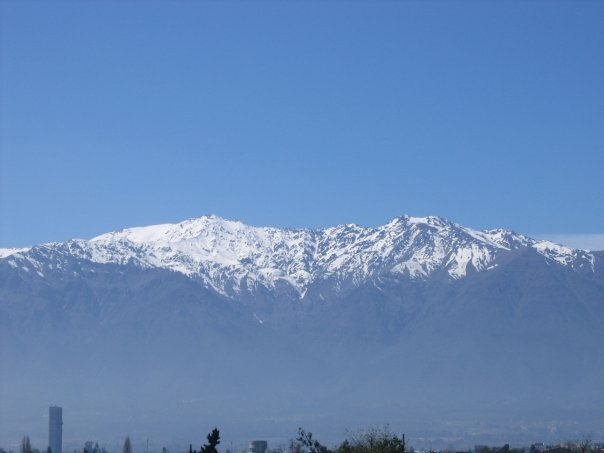 In April, 2004, I was living in Santiago, Chile. My husband (then-fiancé) and I were about to get married, sell all our belongings, and move to the US. He was worried about his mom, though, because she was currently living with his brother in what could only generously be called an “add-on” behind the house. There were some new apartments for sale about three blocks away, and when my fiancé mentioned the price, I said, “Let’s look into this. Maybe we can buy this for her and she can live there.” The apartments were selling, at the time, for about $24,000,000 (twenty-four million pesos), or, 1415UF. But how much was that in US$? 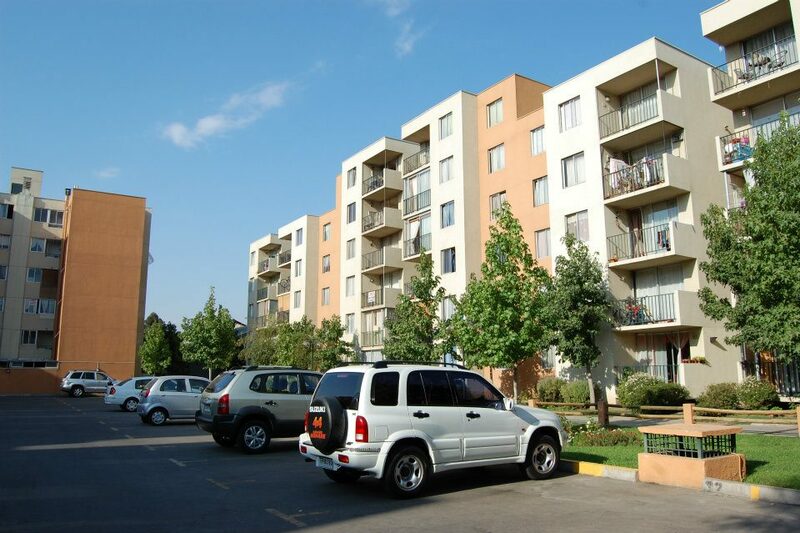 Chile has a unique system for pricing real estate, using a number called the UF, unidad de fomento. This is a figure that is pegged to international markets (red alert, Laurie, red alert!) and is adjusted for inflation. That equated, through two exchange rates (UF to peso and peso to US dollar), to about $45,000 (forty-five thousand US dollars). I thought, in all my youthful optimism, “We can afford that! It will be like a car payment!” We gathered up a down payment, which was largely some money my parents had given us, and went to the bank. Here’s why we were able to buy the apartment: Chile is very strict (or it used to be) about who is eligible to open a bank account. You have to be gainfully employed, and to be employed, you have to be a permanent resident, with a national identity card, called a RUT. Your RUT, or Rol Único Tributario, is a number assigned to you by the government and used from everything to verify your identity in online banking to function as an additional ID when you sign your credit card stub. You cannot open a bank account without this number, and without a bank account, you can’t do much of anything. I had gone through the process of permanent residency, and so I had a job, a RUT, and a bank account. So I had…credit. As did my husband. (However, in 2004, Chile was much more conservative in what it was willing to lend than was the US. This has changed). By this time, we had married, and so we decided to apply for a loan at my bank, which was then called Santander Santiago (now it’s just called Santander, as it’s known in the US and internationally). Here’s where ignorance and youthful optimism reared both their shiny, bright little heads. As we looked through the different loan options, the loan officer explained that we could have a fixed rate loan, at a rate of, I honestly, don’t remember, maybe 5%? Or, we could get a 5 year ARM, which had a top interest rate of 6.5%, but would have lower monthly payments for the first five years. We did know enough to insist on a fifteen year mortgage, rather than a thirty. But, I convinced my husband we should go for the ARM, because in five years we would surely pay off the apartment, since we’d be swimming in US money by then. We put ten percent, or $3.3 million pesos, down, roughly equivalent to about $5,500US. Then we moved my mother-in-law in, sold our furniture, and moved state-side. In Santiago, as in most international cities, space is at a premium. So this apartment is tiny. I mean, tiny, tiny, tiny. It is a three-bedroom apartment, which sounds spacious, but somehow, they pack those three bedrooms, two bathrooms, kitchen, living, and terrace, into 55 square meters. That’s equivalent to about 600 square feet of living space. We decided to buy a parking space, which turned out to be a very good decision, as my mother in law has occasionally been able to rent the space out. The apartment is located on the fourth floor of Building D, part of a three-building residence (with multiple parts, hence more than three letters). It is gated and has a community swimming pool, underground and above-ground parking lots, and a conserje, a doorman who lets visitors and cars in and out of the building. The building is in San Miguel, which is a poorer section of Santiago, but is a prime and growing lower- to-middle class neighborhood. The apartment is about a four-block walk to the subway. When you buy an apartment in Chile, it does not come completely finished, as you’d expect an apartment to come in the US. Our apartment had no appliances, lighting fixtures, or closets! (While this is changing in some newer, fancier buildings, it is still largely the norm that apartments come without appliances and lighting). 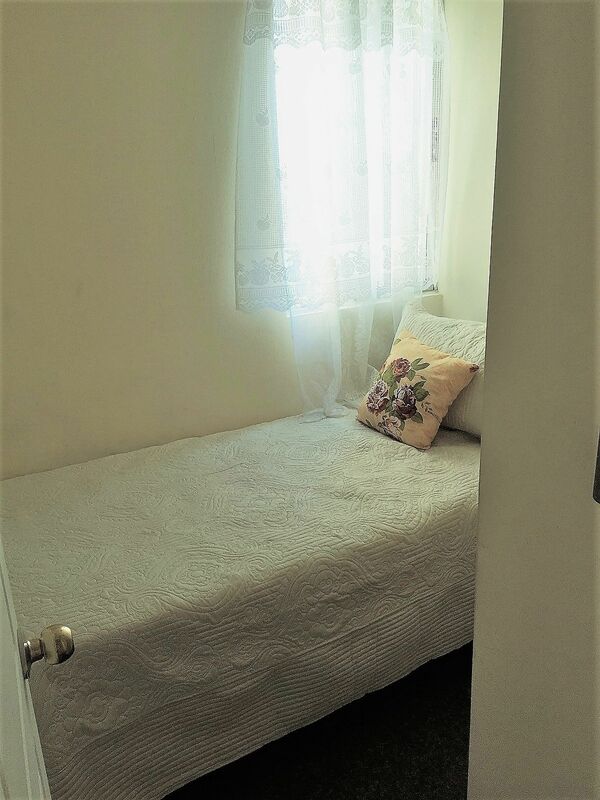 It is true that is apartment was a lower-end (still very nice) apartment, so it was designed for residents who would prefer to save money by doing those things themselves, but we are not-at-all handy, so we hired a local handyman to do the closet work for us. Here was another mistake. Life lesson: hiring the cheapest option can sometimes end up being far costlier in time, frustration, and redoing mistakes, so choose carefully. We hired the town drunk. Well, the San Miguel drunk, anyway. Poor Don Dionisio was kind and diligent when he was on the wagon. He managed to get two of the three closets built, but when we made the mistake of paying him for his work, he left for about four weeks and didn’t show up again until the money had run out. We heard from a lot of relatives that they’d seen him drinking around town, but he wouldn’t answer any calls. By that time, living in Chile (and honestly, perhaps the US South, as well) had instilled in me a sense that there are some things you can’t rush. In the meantime, Hubs and I installed the light fixtures (surprisingly easy—I do this now in my own home), bought appliances, and moved our furniture into the new apartment, along with my MIL’s beds and dressers. We left the country before Don Dionisio had come back, but he eventually did come finish the job and all closets were built. In 2004, when we bought the apartment, the UF had a value of roughly $17,317 pesos (around $28US). Today, its value is $26,347 (around $44US). These are general estimates, as the UF’s value changes every trading day. The peso’s value has fluctuated less. In 2004, the peso was around 550 pesos to the dollar. In 2016, the exchange rate is roughly 675 pesos to the dollar. When we began to make our monthly mortgage payments, we were paying around $150,000 Chilean pesos per month. However, what I didn’t realize, is that because of the UF, those monthly mortgage payments don’t stay fixed as they do in the US. They rise with inflation and cost of living. And unfortunately, between 2004, when we left Santiago, and 2016, cost of living, and to a smaller degree, inflation, have risen enormously. When we left, bus tickets were $300 pesos, for example. Today, they’re $640 pesos. 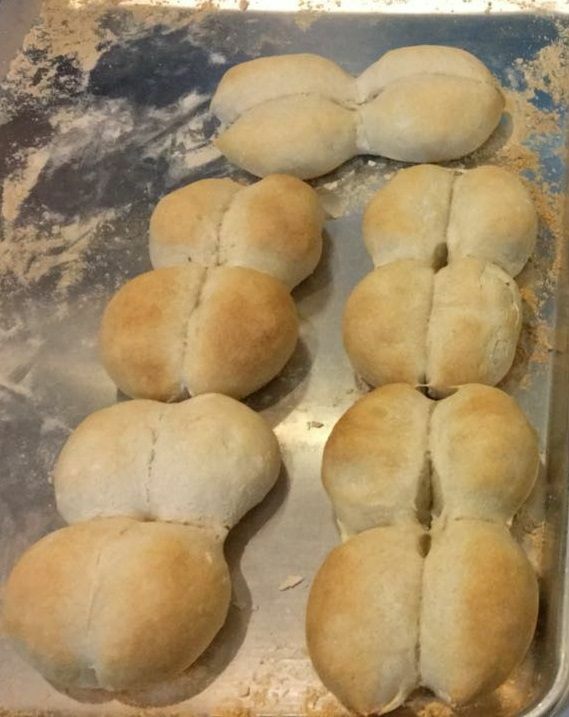 The price for a kilo of marraquetas, Chile’s eponymous fresh bread rolls, was $600 in 2004 (ironically, I found a report in the Mercurio, a Chilean newspaper, reporting that this price was unsostenible, unsustainable. Ha). Today, they’re $1200 per pound. Now, I used to think these price increases were due to rampant inflation, but after talking to several very smart and well-informed Chileans, I think most of the price increases have to do with job and wage growth, economic growth in the country, and other reasons. Chile is experiencing their own real estate bubble right now, if you ask me, with tremendous increases in the cost of homes, despite a building boom. (But, I haven’t researched housing prices enough to be sure). Our monthly mortgage payment gradually increased from around $150,000 Chilean pesos to $265,000 Chilean pesos. They rose each month for the first five years, then rose slightly more when the 5-year-ARM reset, but have leveled off in the last five years and have been steadily increasing ever since. Because of the rise of the dollar to the peso several years ago, we paid $400 a month in 2004 and pay around $400 a month currently. That figure rose to as high as $600 per month in the late noughts, but dropped with the rise of the dollar back up in the 700s. One of the factors that is strongly affected by the UF and exchange rates is the amortization rate. When I calculate the principal we paid over the years on the apartment, it fluctuated wildly from year to year. In 2014, we paid down $6400 in principal. In 2015, we paid $5260, and in 2016, only $2985. However, each year we’ve paid slightly more of the principal in Chilean pesos down. At the end of 2017, we paid off the apartment completely so we no longer have a mortgage at all. The main thing that tracking the principal paid on the apartment has done is showed me how variable currency exchange rates are. It also shows that while a strong US dollar is helpful in less monthly mortgage payment outlay, it erodes our equity in the apartment and ultimately makes the line item “International Real Estate” less valuable in our portfolio. 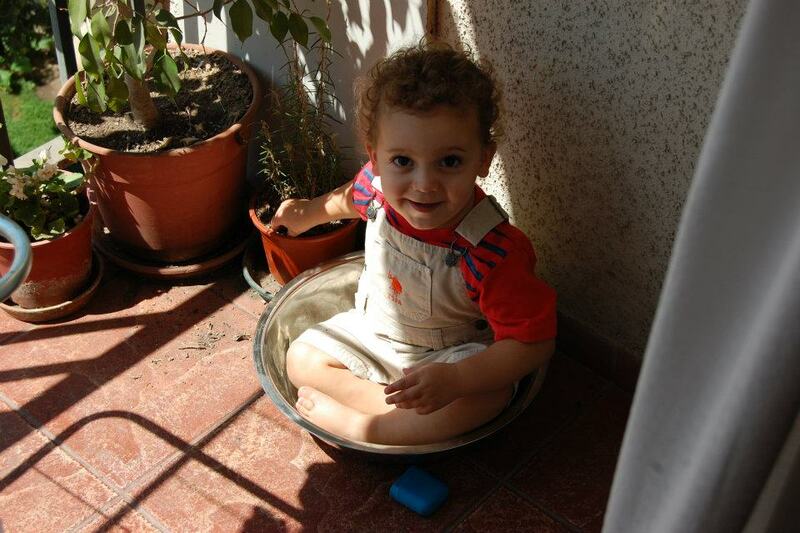 There have been two years when we rented the apartment out, during our ownership. Both times, my mother-in-law moved in with my sister-in-law for a year, then decided she preferred living on her own. We were able to rent the apartment out both times because we had relatives in Santiago to manage the logistics of showing the apartment and managing the calls. A very strong rental market has helped us. The first time, in 2011, we rented the apartment out for $200,000 pesos a month. We found a renter within two weeks by advertising in the Mercurio, a newspaper with a free Classifieds section. My brother-in-law handled the renters, and got dozens of calls. The second time we rented out the apartment, we rented it out for $250,000 pesos. We were visiting Santiago at the time, and we found a renter before we left. This tells me we didn’t charge enough rent both times. We based our rental charge on what other apartments in the building were going for, but since ours has three bedrooms and a parking space, it was probably worth a bit more. Had we used a real estate agent, we could probably have charged a more accurate market price, but he or she would have taken a ten percent cut of the rent each month, as well. To pay us, the renters deposited their rent into my bank account electronically each month, which is a very standard practice in Chile. If there were any ever refunds, etc., we would deduct that from the following month’s rent. Overall, we had a fine experience both times with the renters. 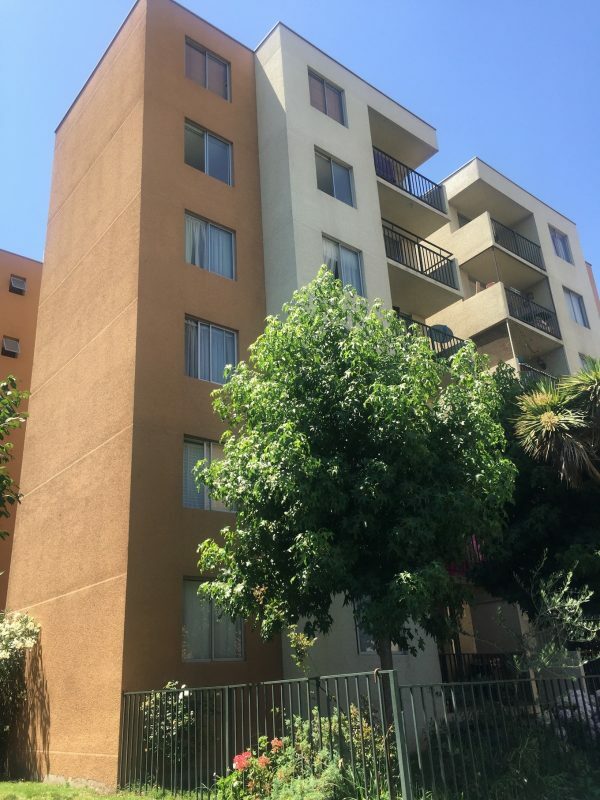 They did not take such great care of the apartment as my mother-in-law, but aside from the expected wear-and-tear, the apartment was in good condition when they left. Both sets of renters left because we asked them to, rather than of their own accord, since my MIL wanted to move back in, and since we bought the apartment for her, we want to respect her choice. The one major maintenance issue we had was when an apartment two floors above us, on the sixth floor, had a pipe burst, and it flooded our apartment. My BIL took care of everything, which was amazing. Basically, we had the floor (which was carpet) ripped up, and eventually installed tile. They were happy to live with the subfloor in the meantime. We gave the renters a discount on their rent for the trouble. Because the cost of services in Chile is still low, it was relatively inexpensive to replace the flooring—about $600. Compared to the rent, however, this was a major cost. It was roughly two months’ rent. It is the first major issue we’ve had for the apartment, though. I hope that my MIL will live in the apartment for many, many more years. If we do ever rent the apartment out again, it will make money for us, since the mortgage is now fully paid off (we paid it off at the end of 2017). While we could probably only charge about $300,000 pesos in rent, that still represents about $450 US per month, or $5400 per year. And I’ve always felt that it’s a way to diversify our US portfolio, even if we would probably have done better putting that $$ in a low-cost index fund. When we bought the apartment, we took on a mortgage (as I’ve said earlier) of $24,000,000 pesos, or about $45,000 US. We have paid approximately $70,000 over eleven years of mortgage paying (subtracting the two years of rent). The market price of the apartment is roughly $115,000 today (that recent increase helped our net worth in January although I only valuate the apartment at about 85% of its current worth, given the up- and down- nature of the exchange rate). Current apartments in the building of the same size are selling from $70,000,000 pesos (without parking) to $81,000,000 (with parking, like ours). So, I estimate that we could probably sell ours for $75,000,000 Chilean pesos, giving us a US value, with an exchange of $650 pesos to the US dollar, of about $115,000. It’s not as easy as to sell your home fast in Santiago, though. If we had invested the down payment and $450 per month, at 7% annually, our money would be worth about $107,000 now, at a 15% tax rate. So, this has actually been a decent investment. But, regardless, we didn’t buy the apartment to be an investment. We bought it to be a place to live for my MIL. One more view of the Andes, with snow this time. After fourteen years, how do I feel about the apartment? It has taught me so much about real estate, about exchange rates, and about financial discipline, that I’m grateful to have had the experience. What a gift to have a safe, comfortable spot for my MIL to live. Yes, it has been difficult at times to pay for it, month in and month out, especially when I think about where else the money could have gone, but I’m glad we’ve done it. 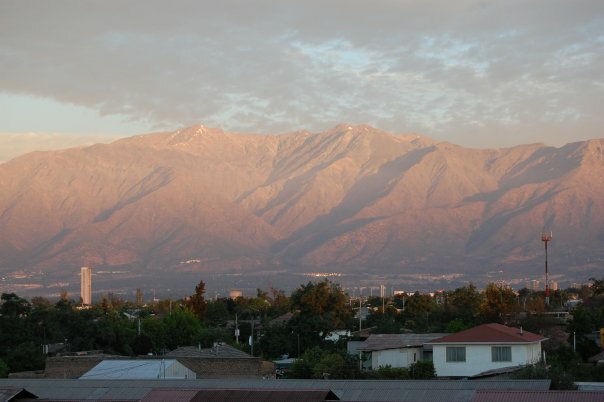 Would I buy another apartment in Chile, like my husband wants to? Probably not. I’m firmly convinced Santiago is in a period of unsustainable real estate growth (our apartment was worth $33,000,000 pesos just five years ago, and $75,000,000 today, and the most rental income you’re likely to make is .05% of total purchase price per month). I also know and understand the US stock market better than I understand international currency exchange rates. If we buy another piece of international real estate in Chile, it would be in cash. Otherwise, the exchange factor is too much of a risk. How about you? 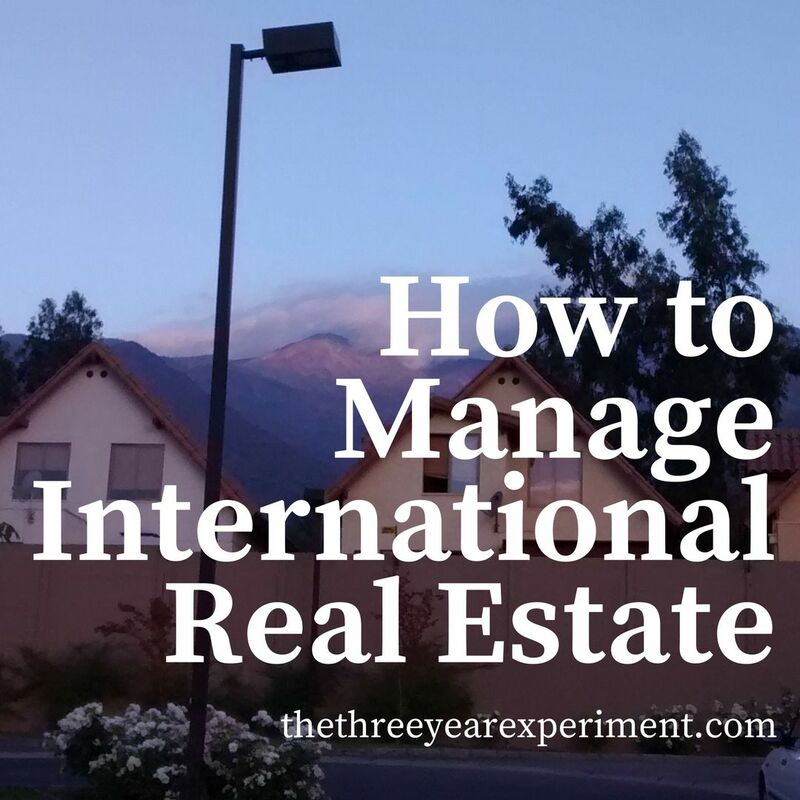 Have you ever flirted with the idea of buying a piece of international real estate? How did it go? Has it been a good investment?